Twenty years ago my friend, Harry Van Ornum, and I started Four Sisters Woodworking in the building on N. Harrison Street. We gave up our lease after five years and built a new shop. I recently had the opportunity to buy our old building and couldn't resist. 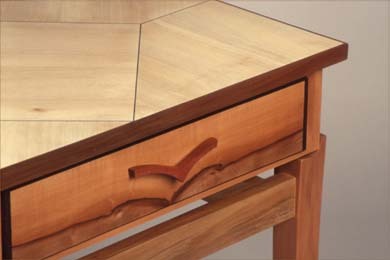 Les studied Drama and Theatre Arts at Bard College for two years, spent a year at Colombia University with Carnahan in the Fine Art Program, then for several years taught cabinetmaking at Miami-Dade College and followed that with two years as a student at the College of the Redwoods Fine Woodworking Program. 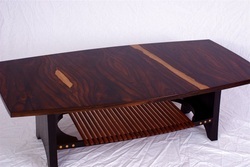 He returned to Miami and joined the South Florida Art Center on Miami Beach, creating custom furniture on commission. Hurricane Andrew wrecked their home and his shop in Miami. Not entirely an ill wind, as it blew them back to the beautiful North Coast and their favorite town, Fort Bragg, where in 1994, Les co-founded Four Sisters Woodworking. Since then he's been happily building beautiful furniture described as cheerfully idiosyncratic. 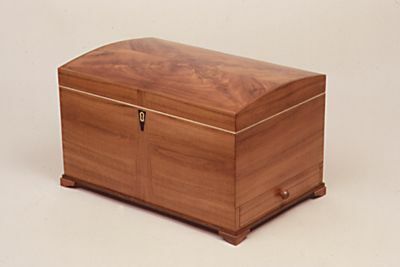 In three decades of woodworking, Les has taught cabinet-making at the country's largest community college, hosted two successful national cable television series on craftsmanship, and spent two years working with James Krenov. His work has been shown in galleries and museums on both coasts. With his wife, the writer Norma Watkins, Cizek authored several articles for Home Furniture Magazine and Fine Woodworking. His work has been shown in Treasure Chests (Taunton Press) and in With Wakened Hands (Cambium Press). Santa Rosa Press Democrat article, "Artistry in Wood"
Mendocino Beacon article, ​"Cizek Finds Joy in Creating the Unexpected"
The blades are made in France and are sold locally by Hoch Blades. Ron Hoch is well known nationally as a producer of extraordinary woodworking plane irons and other blades. 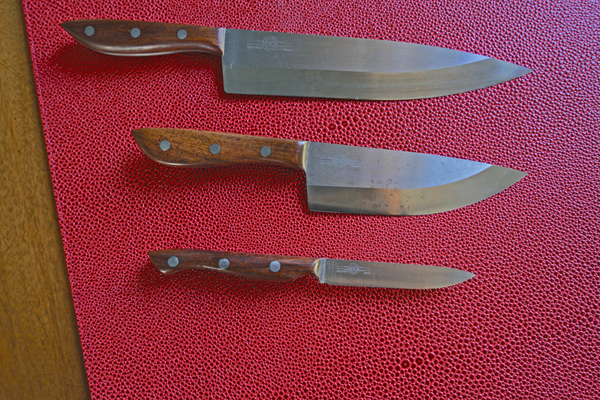 These knives are the result of two small workshops, mostly family members (three generations). It takes several hours to complete a knife. The time must be divided over two days as an important glue up requires overnight curing. I use tropical hardwoods for the handles. They last forever.